WhatsApp, the popular instant-messaging app spanning all of the popular mobile platforms, could soon be headed to the Web, with code hidden within the app’s Android APK indicating strings that would relate to such a move. It’s worth making note, before getting too excited that developers experiment with features behind the scenes all the time, and on many occasions, said implementations are never, well.. implemented. 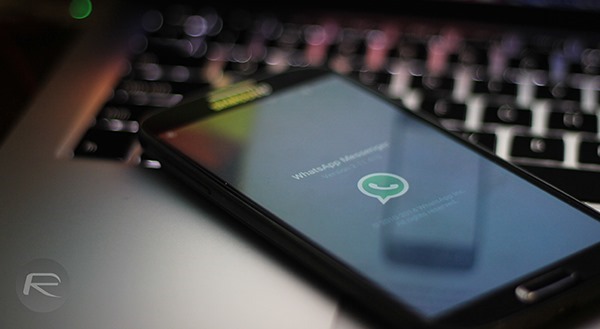 But there’s no doubt that while WhatsApp is ubiquitous and very popular among its users, it remains limited in key areas, and while most rivaling services offer Web and desktop clients to supplement the experience, WhatsApp is limited to phones and connected tablets. The folks over at AndroidWorld.nl have discovered some intriguing strings referencing "WhatsApp Web" on a number of occasions, as well as logging in and out of the chat app using a desktop computer. 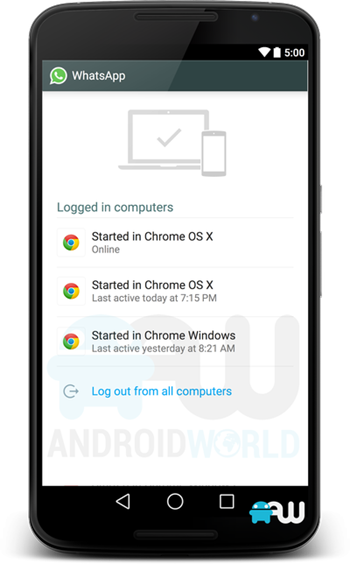 Mentions of prompts like "Are you sure you want to log out from all computers?" are a major giveaway, and although it’d be naive to speculate on when the feature may be ready for prime time, it’s still reasonable to hope that some big improvements are lined up for WhatsApp in 2015. Facebook paid close to $20 billion to acquire WhatsApp, making a very wealthy man out of one of the app’s co-founders who, ironically, couldn’t even get a job at Facebook just a few years back. With hundreds of millions of users across a myriad of platforms, it’s the go-to chat app for a large demographic, but while it’s perfect for mobile users, the likes of Skype, Viber et al can boast the trump card of a Web infrastructure. As a WhatsApp user myself, I’d love to see the horizons broadened, although there’s always that lingering fear that when Facebook does decide to make some major upgrades, there’ll be a lot of the social network’s imprint on it. Instagram, another major social app owned by Mark Zuckerberg’s firm, has retained its identity, as has WhatsApp so far, but should the latter be taken to the Web, it’s almost certain to be heavily intertwined with Facebook. What do you make of this; is WhatsApp crying out for Web support? Do share your thoughts and comments below! I prefer Viber for two reasons: Video! And Free. Whatsapp charged you one dollars annual which is cheap but I rather not to. And no video. Nah. Welcome to the spam !